Mike Nemeth uses the thriller in interesting and unique ways. He often has an institution as the enemy. 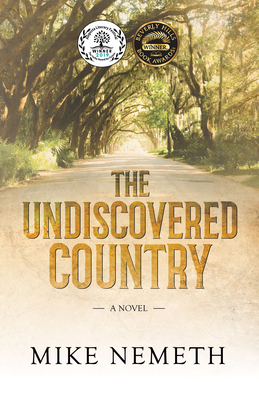 With his second Randle Marks novel, The Undiscovered Country, it is the combination of family and the health care system. We talked to Mr. Nemeth, who will be at BookPeople June 16th at 2pm with Tim Bryant about how he tackles this form of crime writing. MysteryPeople Scott: Did you know you had another novel in Randle Marks after Defiled? Mike Nemeth: Yes, I had planned three standalone stories, all with Randle as the protagonist. Basically, a series of life challenges, told as thrillers, that illustrated the themes I wanted to make readers aware of. MPS: Elmore Leonard said he always liked using someone out of prison as a protagonist because they could go anywhere morally. What did that part of Randle allow you to play to? MN: Elmore Leonard is my inspiration for dialog and pacing, so I’m happy you brought him up. In The Undiscovered Country Randle says, “I had picked up an abiding lesson from prison: I had a license to be disinhibited. I could do most anything to survive. Everyone in prison learned the same lesson.” He had been to hell and back so he feared no punishment for his behavior. He had complete freedom, and so did I as his director. He’s the scoundrel we root for. MPS: One could argue you took a Pat Conroy-style southern family drama and gave it a thriller plot. What about family did you want to explore? MN: Pat Conroy? I’m blushing! Southerners have an exaggerated sense of tribe combined with a deep-seated need for self-discovery and those characteristics drive the story along. MPS: The Georgia setting also plays an important part, particularly when Randle investigates his family’s past. Was there anything you wanted to say about the south? MN: My friend Johnnie Bernhard, a writer from Mississippi, said it best: “In the South, the past is never past.” I wanted the ambiance as well: heavy air, sultry nights, passion always close to the surface. MPS: What impresses me about your books is how when most crime fiction and thriller authors have their hero take on the system, it’s usually in the form of one antagonist or two, but you are able to portray the whole bureaucracy, whether the legal system or health care, as the enemy. How do approach that aspect of your novels? MN: I personalize the institutions. In Defiled, Tony Zambrano (Randle’s lawyer), Judge Matthews-Bryant, and Lieutenant Callahan behave generically to represent the legal system but in a specific, very personal circumstance for Randle and Carrie. In The Undiscovered Country, Dr. Metzger and Dr. Kaplan are the medical establishment. So we do have antagonists, but they abide by the universal truths of their institutions. I want the reader to get the point of the story, but I always want the reader to feel that Randle is battling specific people. MPS: I’ve heard you’re planning a trilogy with Randle Marks. Can you tell us anything about the final chapter? I regret now calling this a trilogy because there are so many interesting challenges I could give Randle. The next installment is about the decline of the middle class in America. Randle takes a job in the high tech industry and faces the moral dilemma of whether all advances in technology are intrinsically “good” despite their impact on society. Outsourcing, automation, artificial intelligence and robotics are relentlessly stripping away the jobs on which the middle class depends. Without a super-consumer middle class, where would America be in the world order? The thriller plot revolves around the return of Carrie to threaten Randle’s life reboot and his discovery of his true identity. Of course there will be murders to solve.